10 Bridal Wear Designers Every Bride-To-Be Should Check Out! If you’re a bride-to-be and you still haven’t finalized your wedding lehenga or are still in the process of putting together your trousseau, here are 10 designer bridal lehenga labels you should definitely check out and then take your pick! This list has one for every kind of bride, and we’re pretty sure you’ll find one you love! The Delhi-based designer is known to have a beautiful, pastel collection with lovely textures and intricate embroideries. If you’re looking for a pastel toned lehenga for your big day, he’s the designer to go to, without a doubt! If you want your wedding ensemble to be bright, bold and colourful, Avnni Kapur’s designs are a very, very good choice! Think shimmer, sequins with a very unicorn-ish and 21st century twist. 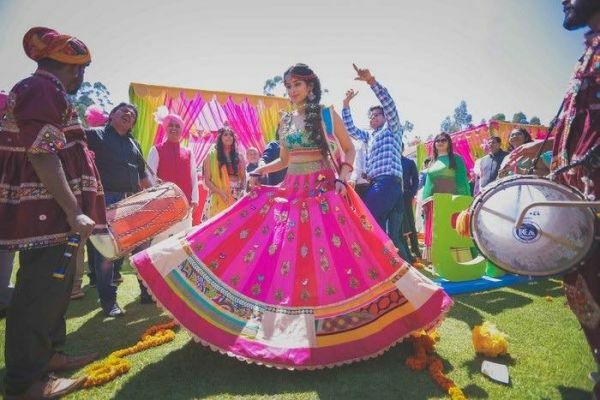 Her lehengas will have you twirlin’, ladies! If you’re the quirky bride who loves to experiment and try on new trends, everything from this designer will grab your attention! The designer duo has a really kitschy ring to their ensembles; think neon pinks with yellow tassels and a sprinkle of glitter! If you have love for all things regal and royal, you should surely check out this designer’s collection. Think big motifs, bold colours with fine gota-patti embroidery! If you have a special kind of love for all things hand-crafted and hand-made, this one will have you swooning! She might not be your everyday blinged out designer, but if you have a passion for craft and want to include it in your wedding style, Nikasha will ensure that happens. Her garments are really a class apart and look nothing but perfect… even when it’s sans all the sparkle and sequins. The designer incorporates thread and bead work in her outfits in the most glam way! If you like the latest bridal trends and want to be a fashionable bride, then this label is surely the one to go for! They have pop-coloured outfits in the most contemporary silhouettes - one-shoulder blouses, ruffled lehengas, scallops and fringed hems… you geddit! 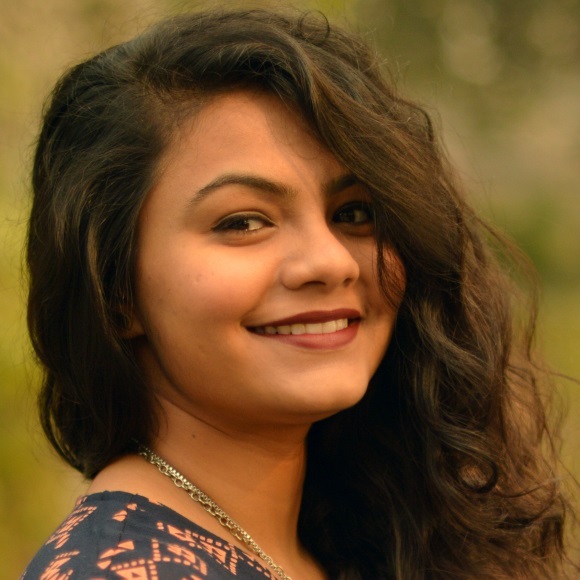 If customization is your thing, you’ll want to get your entire trousseau made from this designer. Kresha Bajaj has some of the finest and prettiest customizable lehengas where you get the option to get your love story embroidered on your wedding lehenga! Now, that’s something you’ll preserve for the years to come, right? If you’re not the traditional kind and keep looking for outfits that have modern silhouettes and cuts, this is the designer you must try! The designer is also a stylist, so think wedding wear that’s experimental has dramatic drapes but is still very functional and wearable. The designer also has some super-creative resort wear that you must check out, especially if you’re planning a beach wedding! If florals and all things pretty and girly is how you prefer your wedding wear to be, Bhumika Sharma is the designer to check out! If you want your wedding lehenga to have the prettiest flora, filled with roses, peonies and lilies, you really don’t want miss out on her collection! 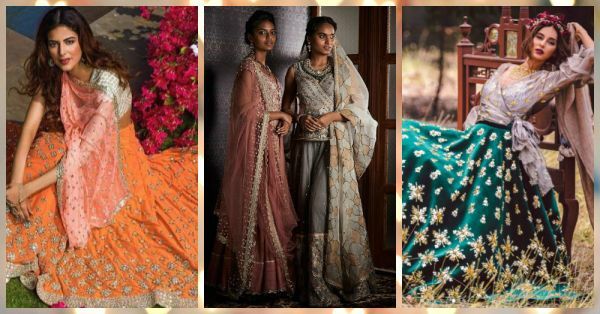 If you want your lehenga or outfits for your wedding trousseau to not look like just another bridal outfit, Shubhika is the designer to check out! The designer explores surface techniques and embroideries in the most unexpected way. She’s not the ‘designer-next-door’ and every piece designed by her goes through a gruelling process of creative exploration! So, whose collection are you going to check out, ladies?